Baillie Gifford choose Cherwell Software to enhance their service. Cherwell Software has won a new customer for its Service Desk software solutions in the shape ofBaillie Gifford, an independent investment management partnership based in Edinburgh, Scotland. 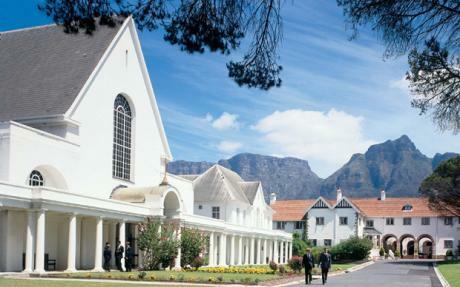 Bishops Diocesan College is an independent boys’ school in Cape Town with a long history, a strong academic ethos combined with a commitment to all-roundedness, and a proud record of achievements. We are confident that boys, through their experience of Bishops, will grow into fulfilled and responsible men. It is a high achieving school in all areas – academically, on the sportsfields, and in a wide variety of social and cultural activities. A flexible tool that would allow Bishops to create a number of software applications all in a single system to help manage the day to day running of a School IT department. A tool that the school could grow and develop with internal resources where required. Bishops selected Cherwell Service Management as their chosen platform to build their new Service Management Applications. Due to the huge flexibility of the application it meant that they were able to combine multiple tools that were currently running in their environment into a single system. Self Service Portal for pupils and staff to interact with IT and resolve their own requests.